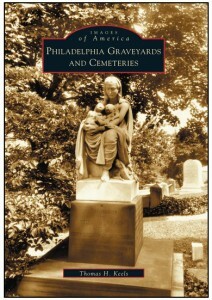 Keels writes that Philadelphia’s first independent cemetery offered such amenities as a ”bell room” where corpses could lie with one hand tied to a bell cord until the possibility of premature burial had passed! In this intriguing lecture he will be including stories about the resting places of notable historic Catholic, African American and Jewish figures. Laurel Hill and Christ Church are perhaps the best known burial grounds where some of our nation’s greatest citizens lie, but less than 20 of Philadelphia’s original estimated 120 cemeteries still remain, so plenty of untold stories still rest beneath our feet across the city. Thomas H. Keels is a widely acclaimed Philadelphia writer, historian and author of six published books on our local history. Co-sponsored by RHS and Radnor Memorial Library. Books available for purchase. Refreshments will be served. In this lecture local author Lane discusses often-dismissed small Cape Cods, ranches and split levels with the extensive analysis formerly reserved for high-style architecture. Broomall’s Lawrence Park and Rose Tree Woods are among developments by lesser-known tract house developers she selected from four diverse regions. 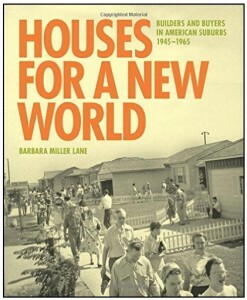 Based on a decade of research, her book contains hundreds of historical images, plans and maps, presenting an entirely new interpretation of American suburbs which espoused a modern way of life – informal, democratic, multi-ethnic, and devoted to improving their owners’ lives and those of their children. The result is an insightful history of houses and developments that continue to shape how tens of millions of us live today. Barbara Miller Lane joined the faculty of Bryn Mawr College in 1962, is Mellon Foundation Professor Emeritus of Humanities, and Professor Emeritus of History. Co-sponsored by RHS and Radnor Memorial Library. Refreshments will be served. Please use side entrance to Fire House meeting hall. Parking available opposite in Municipal Lots. PLEASE DO NOT PARK IN FIRE COMPANY LOT. Some of the western Main Line’s most notable Victorian landmarks came from the drawing boards of a firm barely known today. The partnership of Culver & Rogers gave us public buildings, business premises and homes that lent Wayne, Devon and Berwyn definite prominence in their early years. Further afield controversy still follows some of their restorations of historic structures, including Independence Hall. Greg Prichard, Historic Preservation Planner for Lower Merion Twp., and board member of both T/E and Radnor Historical Societies, has painstakingly compiled numerous scattered references to form a fascinating narrative. His illustrated presentation explores the sum of their extraordinary legacy. Co-sponsored by RHS and the Tredyffrin-Easttown Historical Society. This presentation comprises a wide selection of oral histories gathered over the years by students of Cabrini College, now Cabrini University, entitled Democracy & Diversity, a class taught there by Dr. Schwarze. The community of Mt. Pleasant is mostly African American, many of its residents being descendants of families who settled during the early 1900s as part of the Great Migration, while the neighborhood itself dates back to the early 1800s. The first hand accounts of earlier times in this tight-knit community provide a valuable insight into a bygone era and document some of the many changes it has seen over the years. Co-sponsored by RHS, Radnor Memorial Library, and the First Baptist Church of Wayne. By 1900 cricket, golf, lawn tennis and hunt clubs were ubiquitous along the Main Line. 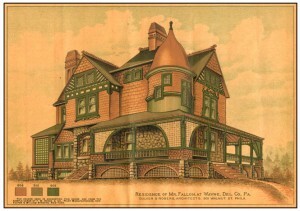 Many of our recreational pastimes, houses and public buildings were modeled on the English style and indeed it was no coincidence that Radnor’s Ardrossan mansion was one of several that had its interiors decorated by White, Allom & Co., who were also responsible for many rooms in London’s Buckingham Palace. Groff’s overview looks at the growth of the Main Line from 1865-1930, with photographs and information he has researched over many years. He is currently Estate Historian at Winterthur and holds an MA from the Winterthur Program in Early American Culture at the University of Delaware. Historian Bennett Hill will present a tour of this magnificent church, “built in the best English gothic style of a country house of the 14th century”. It was completed in 1894 after relocating from further along the pike, leaving the approximate site of what is now the stadium of the Villanova Wildcats. 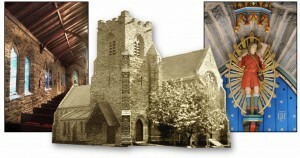 Many of the materials from that original church were used in the construction of the present Parish House, while the current church was built from scratch amid much dispute at the time over its financing. We will congregate at the Tower Door Porch on the driveway side. Attendees may wish to bring binoculars and wear sensible shoes. The RHS Annual Dinner will be held in the sumptuous surroundings of the former Liseter Hall (later Beaumont), built in 1912 for William Liseter Austin, President of Baldwin Locomotive Works. He built his estate on this magnificent 67-acre plot, and his Aeolian Organ, showcased tonight by Jeff Fowler, is one of very few remaining worldwide. 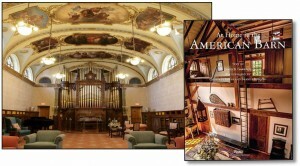 After dinner Main Line historian Jim Garrison will speak about his new book, At Home in the American Barn, available tonight at a special event price. Former Inquirer reporter and rower Dotty Brown delves river-deep into the history of the city’s rowing culture and the landmark clubhouses built to further it, as well as some of the city’s most enduring characters. It is the first book to lift the curtain on the little-known culture and history of Philadelphia’s iconic 19th century landmark, revealing stories of passion and perseverance along with hard-won victory. With more than 160 photographs, Boathouse Row chronicles the “waves of change” as various groups of different races, classes, and genders fought for access to rowing on the Schuylkill River and the sport itself. Books will be available for purchase. Dr. Harold Sweetman, Executive Director of Jenkins, will give a lecture about unused and vintage gardening tools that will both entertain and inform. There will also be a display and discussion of his own collection of unusual, useless and downright hilarious tools which were marketed over many decades in the guise of making gardening easier. 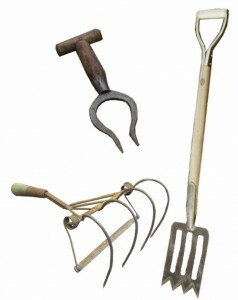 If you have a weird gardening tool, bring it along, share your discovery and you may even win our special award! Prior to the lecture you are welcome to enjoy the beautiful grounds and walking trails of this hidden gem in the midst of suburbia. Refreshments, including wine and snacks, will be served following the presentation. 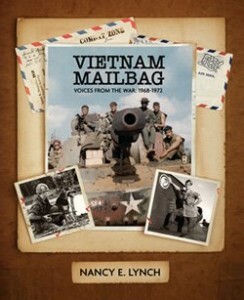 Radnorshire Room, Radnor Township Building, Iven Ave.
Nancy Lynch, author of ‘Vietnam Mailbag,’ will read letters from servicemen who served in Vietnam from 1968-1972. From the early 1960s through 1973, hundreds of thousands of men and women served in Vietnam in an undeclared and highly controversial war. During the peak years of that conflict, a young reporter, Nancy Lynch, relayed the hopes and fears, the joy and tears of hundreds of soldiers, sailors, airmen, and marines from the state of Delaware through the “Vietnam Mailbag” column she wrote in the Wilmington Morning News. Nancy kept all those letters, and the pictures sent with many of them, neatly folded in their original envelopes. Now, 40 years after she began writing her column, Nancy has written this book, giving a new generation a fresh look at the first-person accounts of troops in the combat zone. Books will be available for purchase.